You may be asked to return to visit your eye doctor in Detroit area the following day for an eye exam. They will want to check your vision and be sure your eyes appear to be healing as they should. You will be given any additional instructions necessary about eye drops and/or artificial tears, and you can ask the doctor any questions you may have. Postoperative care may be performed by an eye doctor other than your LASIK surgeon. This is referred to as co-management. 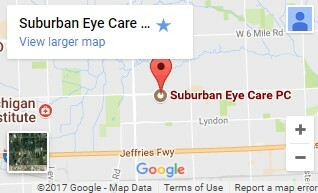 Our Livonia eye doctors are happy to provide post-operative care for you at our office through a co-management agreement with your surgeon. Ask us for further details. If an enhancement is not required, eyeglasses or contact lenses may be used to help. Our Livonia optometrists will be happy to examine your eyes and discuss the options available to you. Our Livonia eye doctors' also offer vision therapy services. Learn more about Vision Therapy.